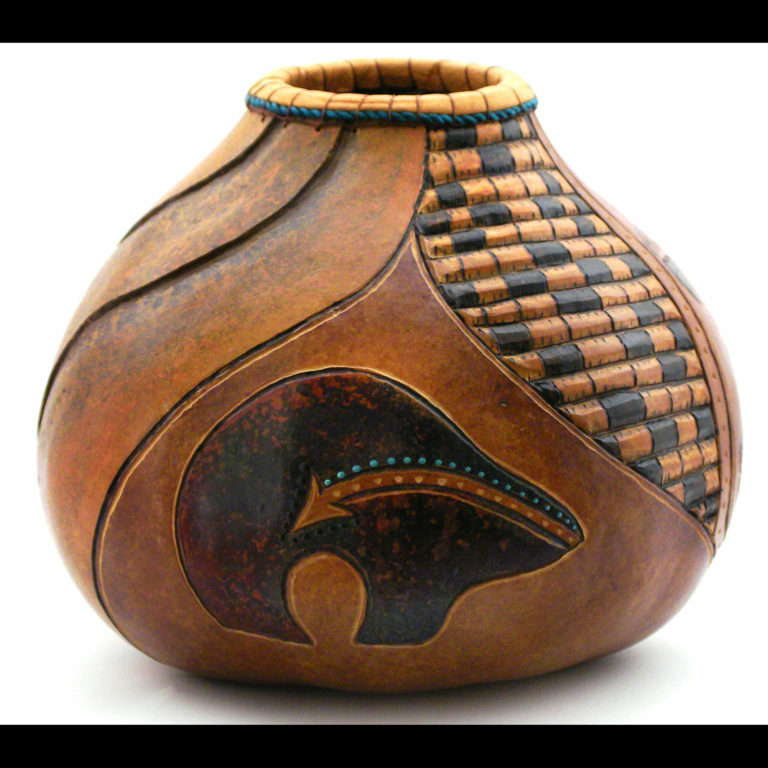 I am a gourd artist that uses gourds as a canvas, I draw my own images, then carve, paint or stain the design and then embellish it with natural items, beads, leather or other adornments. I create drums, vessels (large and small), ornaments and even a birdhouse or two. I also paint with acrylics on canvas.